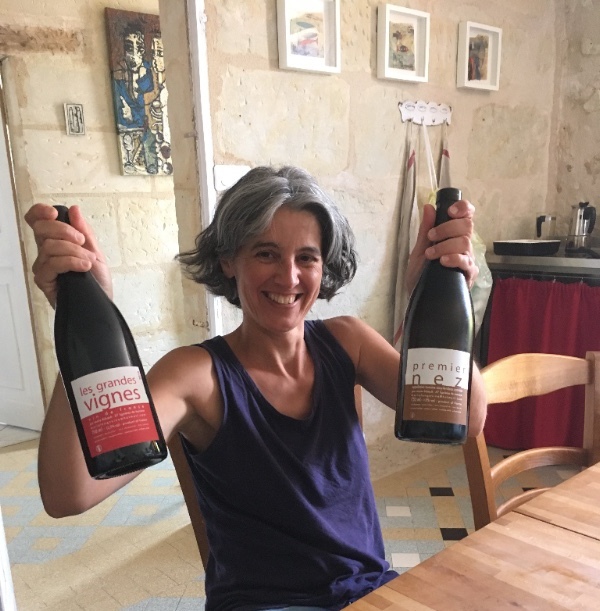 Continuing our visit of the Loire, we made our next stop to Marie Thibault, but the usual trip to visit her in Azay-le-Rideau has took us on a pleasant detour to the village of Valleres this year. Marie has moved Cellars! And with that, she has brought her family to the stunning new location too. The village of Valleres itself is carved into the tuffeau soil, with cellars dug right into the hills that dot the landscape en route. Old Chateaus and medieval towers stand to attention along the road, giving a real sense of history to the area. 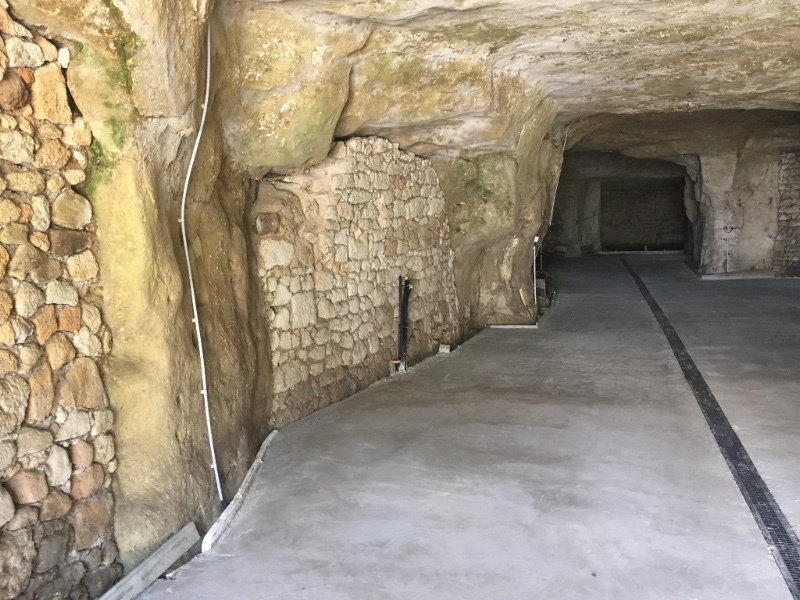 We arrive at her new working Cellar and family home, complete with THREE huge caves just tucked behind the façade of the country house, and slightly hidden by the cascading shrubs. 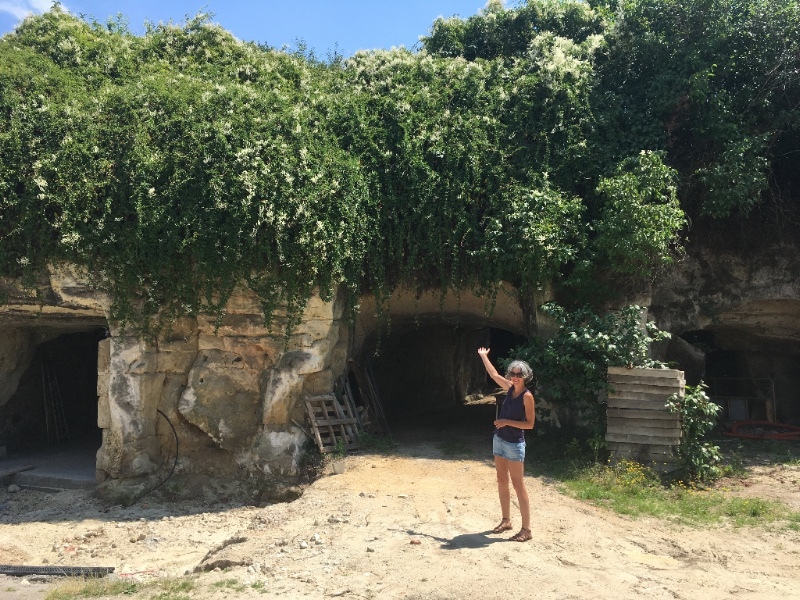 Formerly owned by a family of farmers, these deep caves – literally caves – are where the year’s harvest of apples was once stored, and where the herd of cows spent the winter. 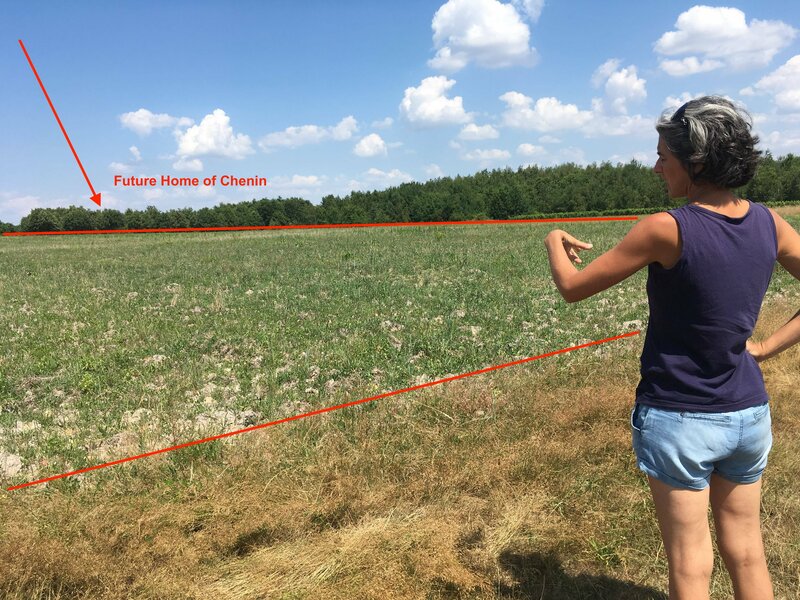 As luck would have it, Marie found this site by chance, and the children of the former owners were pleased to sell it to someone involved in agriculture like their parents! 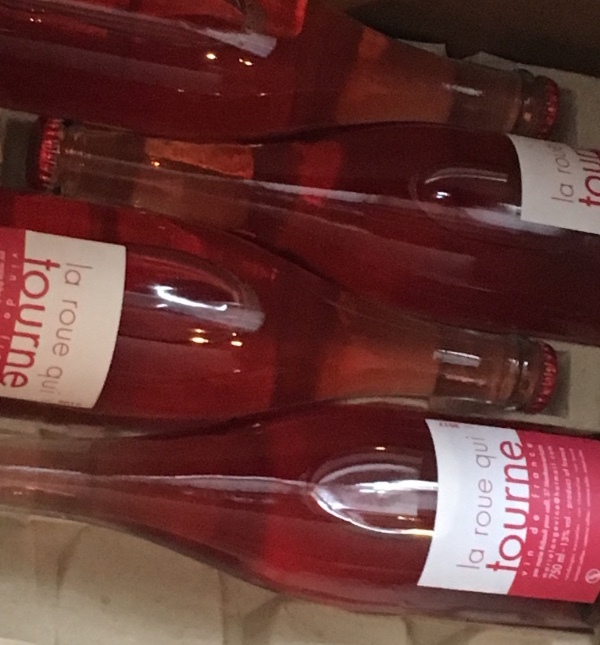 By legal regulation in France, winemakers must have two separate spaces for the storage of their negoce wine project and their Domaine wine project. 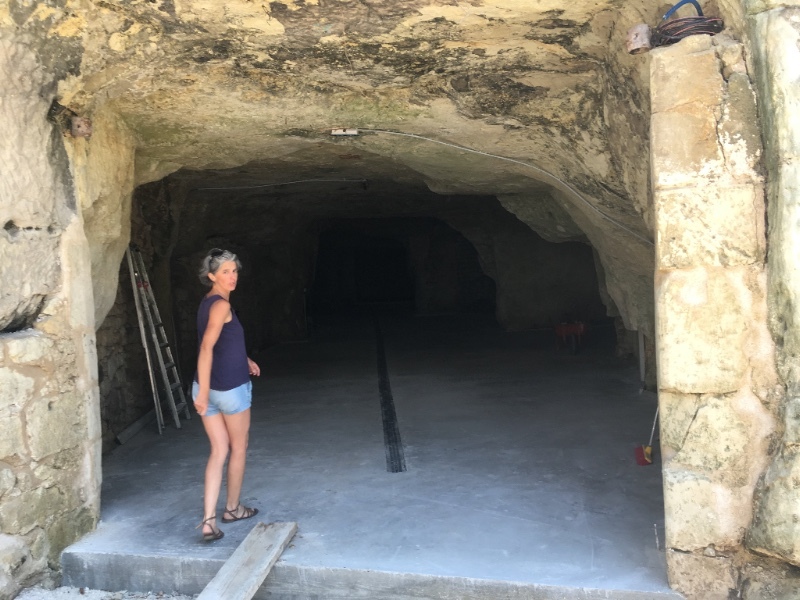 Marie has a small cave where she will make her Estate wines, and shares the negoce cave with her partner, winemaker Frantz Saumon, who himself uses the third cave for his own Estate wines. This set-up couldn’t be more ideal! While 2017 was a vintage of near total destruction due to the April frost of 2017, this unfortunate event happily worked in Marie’s favour when it came to the complex task of moving winery sites. Transporting wine in barrel is never easy, but since the production of 2017 wine was down 85%, this made for a very easy transportation into the new space – empty barriques & bottled wine only. 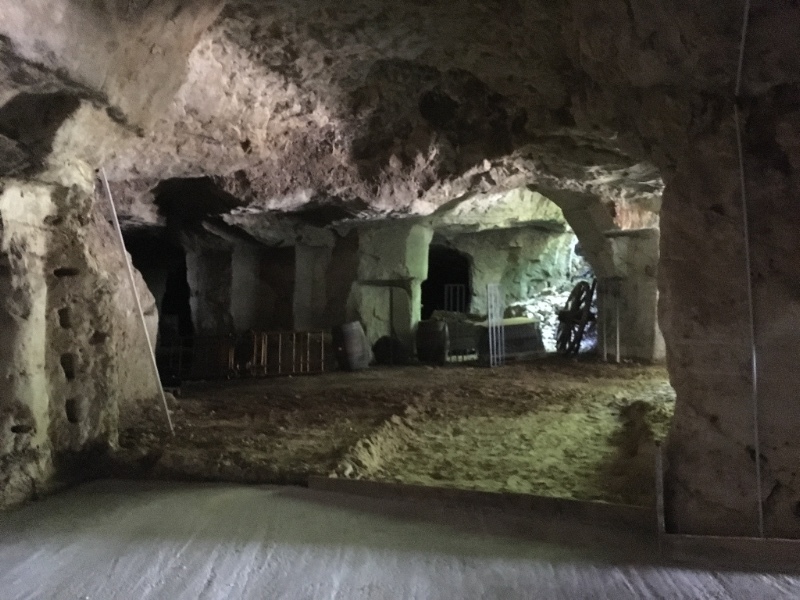 Upon entry into the caves, one feels as if they’re entering an artist’s studio and the creative gears immediately set in motion. The temperature is a perfect 12°C throughout the year, and levels of humidity are ideal for storage, unlike her previous dry location that saw a large percentage of evaporated wine counted for the Angel’s Share. 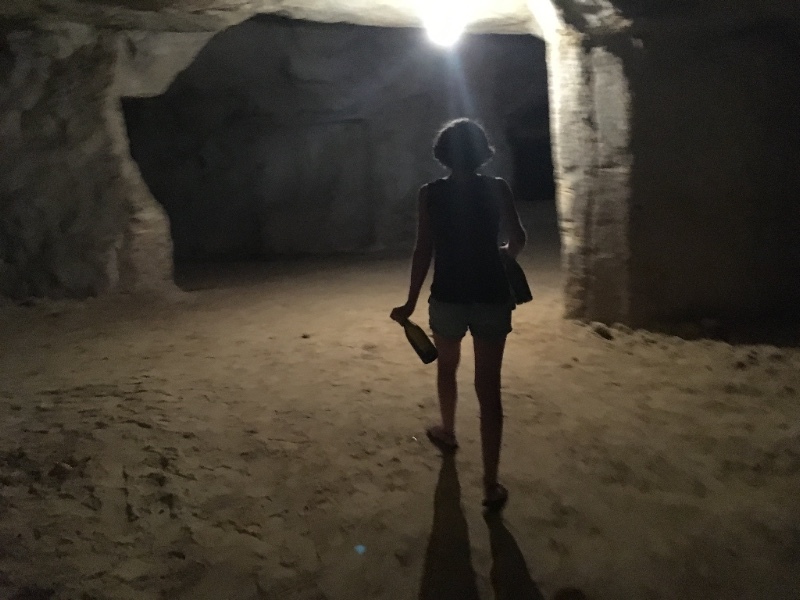 Though the cellar is nearly pitch black, Marie’s eyes light up when discussing future projects while hunting for bottles stored in the depths of the cave. 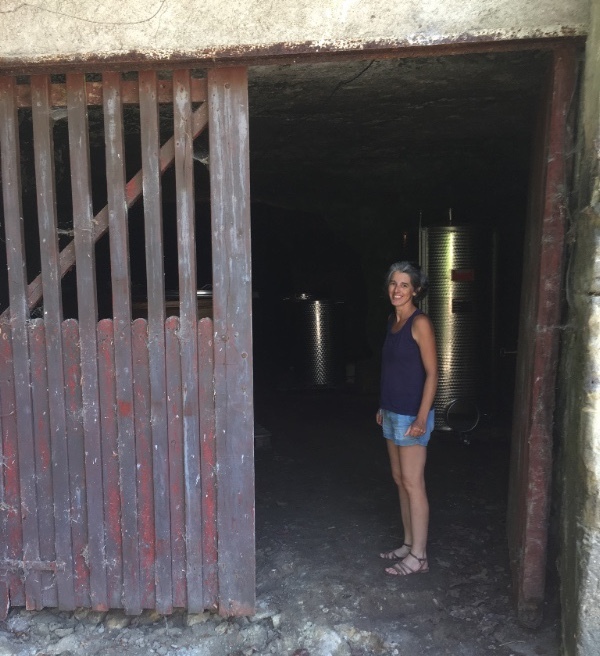 Aside from barrel-ageing Chenin and adding a few more barriques to her program, Marie excitedly shares that she has just ordered a sandstone Amphora to experiment with Chenin in a neutral zero-oxygen vessel! 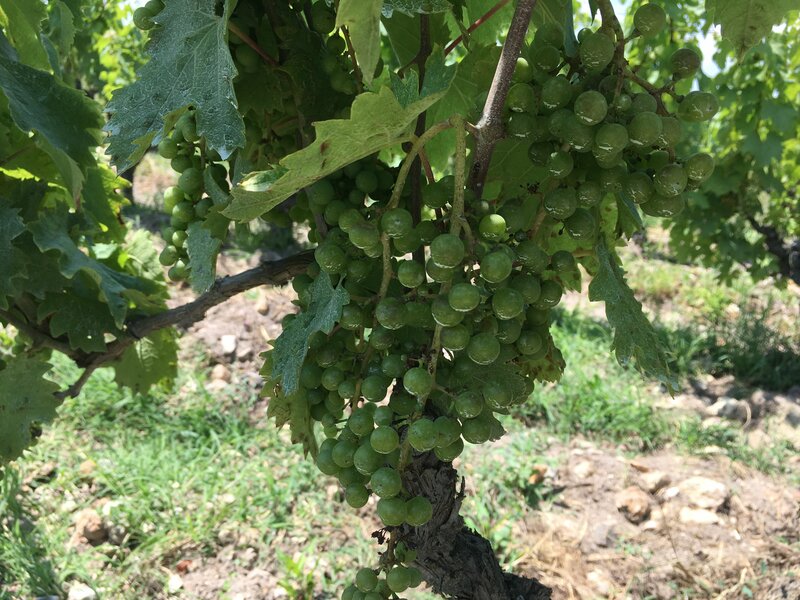 In a complete 180° turn from last year, the 2018 vintage is looking incredible. The fruit set is abundant and healthy, with the threat of mildew mostly under control. 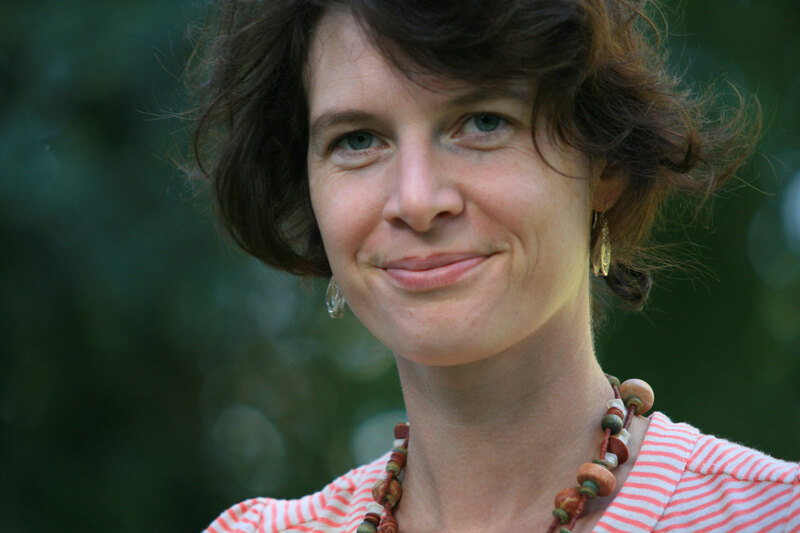 Marie has been making treatments of orange peel oil, in complement with copper applications to prevent any diseases from forming. 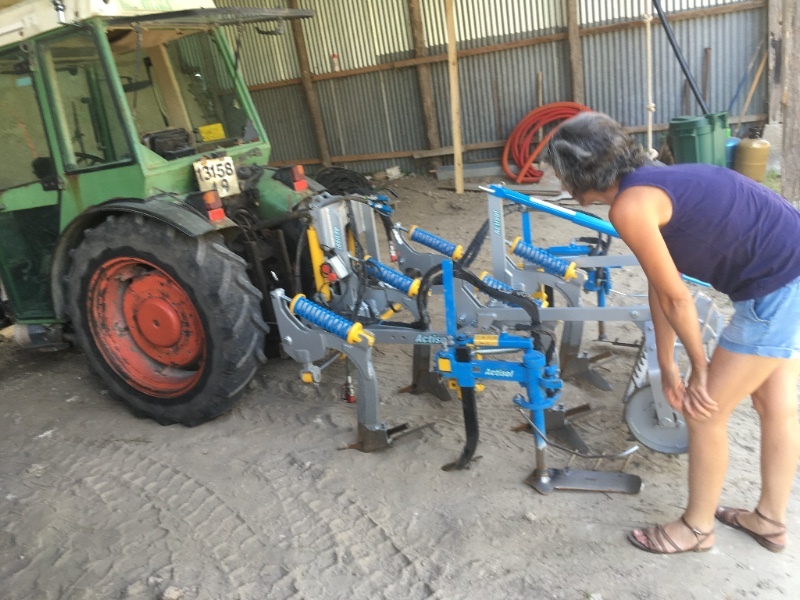 This year she has spent a lot of time hand trimming the tops of the vines with shears, and using a variety of ploughing systems – both horse and tractors – for turning the soil and removing weeds in the rows. 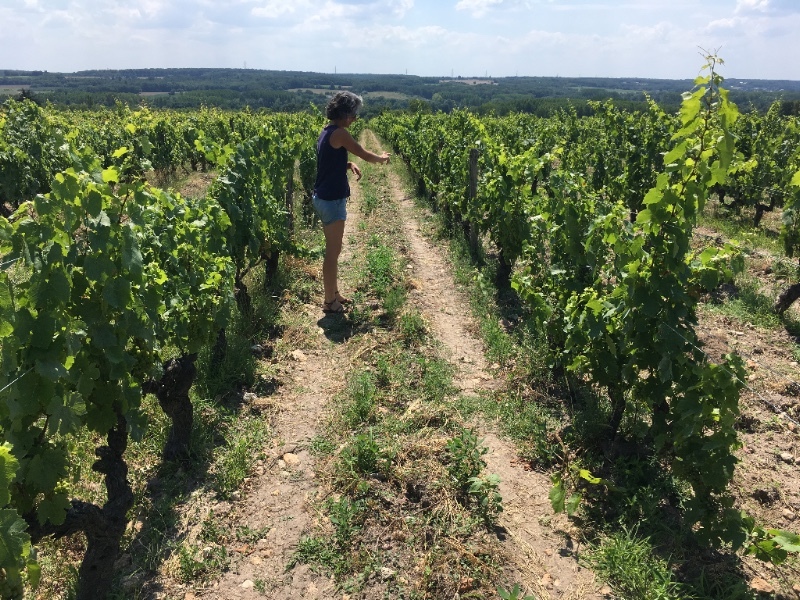 Marie’s current estimates are between 30-40 HL per HA this year, and after last year’s almost nil-harvest, it is highly unlikely she will be dropping any fruit this year! 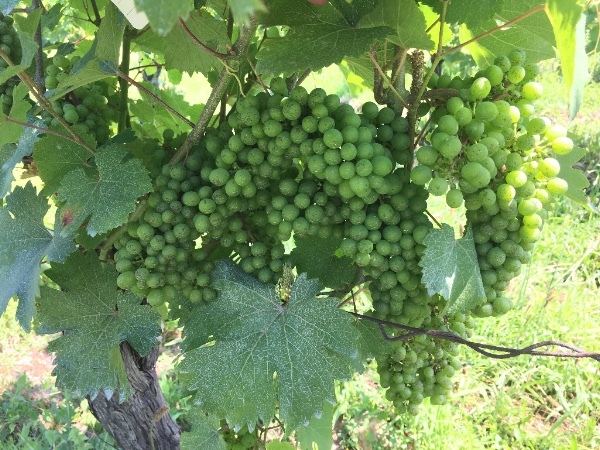 If all goes according to plan, the harvest should be starting September 20th with a team of 15 people hand harvesting all the grapes. 1HA parcel that is still under soil preparation for the future Chenin planting. We tasted this from inox cuve last year while is was still under skins, and the flavours are still every-present. The concentration is deep crushed violet, with a savoury nose – black and pink peppercorns, black olive tapenade, garrigue, pepper, and charcuterie. The palate presents red liquorice, spices, dried berries. Fresh acidity and well-integrated velvety tannins. Very creamy and textured, saltine soda crackers, beeswax, flakey vanilla pastry, ripe golden delicious apples and yellow pears, a hint of reduction, and a beam of acidity to balance out the weight of the wine. We are happy to share the news that the Pet Nats are bottled and ready to go!! These will go quick, so if you have made a request for them, now is the time to place order! Crunchy yellow apple, bees wax, citrus zest and a zippy bubbles!